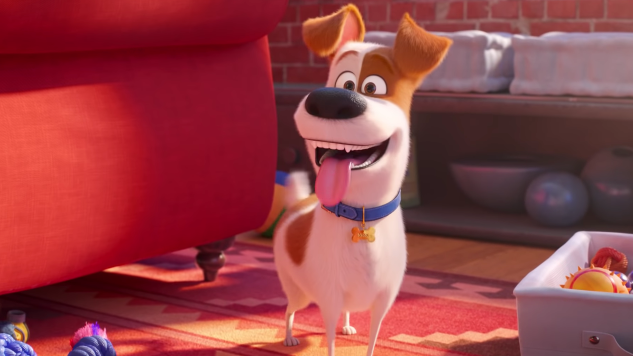 The first character trailer for The Secret Life of Pets 2 follows lead protagonist Max, with Patton Oswalt taking over the role voiced by Louis C.K. in the original film. The move comes after C.K. confirmed five allegations of sexual misconduct levied against him in a New York Times report last November. Oswalt took over in April, per Deadline. The embattled comedian has made a quiet, very much unwelcome return to public life in recent months, but it’s safe to say that C.K. won’t be getting this sort of family film gig any time soon, and we don’t really need him to. C.K. reportedly said he’d been “to hell and back” since the allegations broke, but it’s certainly not as though he was ever entitled to this sort of cushy gig. Not much is lost or gained with the swap; the trailer should be more of the same for anyone who’s been dragged to an Illumination Entertainment joint in recent years. The studio behind the inescapable Minions is one of the biggest forces in modern animation, despite having virtually zero impact on adult audiences. The first Secret Life of Pets scored a massive $104 million opening weekend, which, per Box Office Mojo, makes it the all-time highest opener for an original film, either animated or live-action. The sequel has the distinction of featuring Harrison Ford in his first-ever animated voice role, and also features franchise newcomer Tiffany Haddish. Eric Stonestreet, Kevin Hart, Lake Bell, Dana Carvey, Jenny Slate, Albert Brooks and Hannibal Buress all reprise their roles from the original. Illumination CEO Chris Meledandri is reportedly collaborating with Nintendo on aSuper Mario movie, and also recently spoke about rebooting the Shrek franchise for Universal. The studio’s The Grinch hits theaters this coming weekend, as kids take off school for Veteran’s Day. The Secret Life of Pets 2 premieres on June 7, 2019.